Specialty arts and crafts stores are getting rarer, but there’s something special about shopping locally and getting to know others who are interested in the same medium. Whether you’re into yarn and fiber crafts, model trains, painting and drawing or sewing, these 10 great craft stores in Oklahoma offer classes, supplies and valuable knowledge. The owners of Yarnatopia know about high-quality fibers because one is a knitter and the other crochets. If you’re interested in learning about yarn and what to make with it, this is the place to be. Scrapbooking and paper art supplies can be found at this central-southern Oklahoma store on Main Street in Ada. For needlepoint supplies, the Silver Needle is the place to go in Oklahoma. Whether you’re a beginner or looking for something more challenging, this store will set you up. Model trains may not be as popular as they once were, but it can be an exciting outlet for your creativity. Whistle Stop Trains has service and repair, supplies and information about this hobby. Prairie Quilt bills itself as Oklahoma’s largest quilt shop, and it has a lot to offer beyond quilting. Get sewing advice and equipment, meet other quilters and learn more about fabric and supplies. 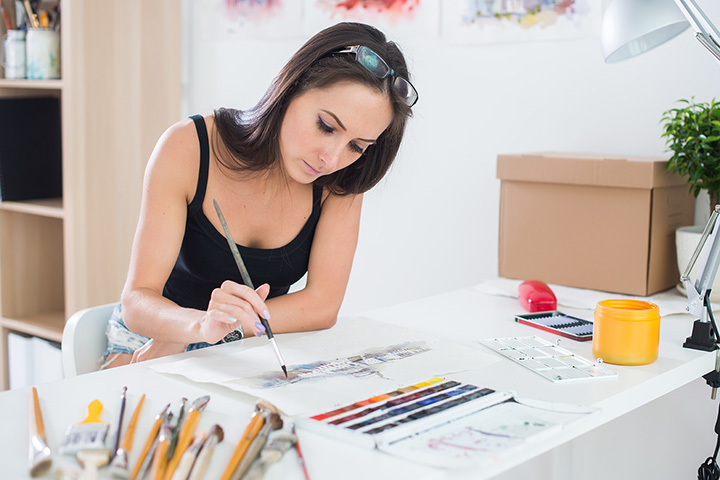 Ziegler offers painting classes and supplies for artists. The store is very informative about other art resources in the area, so stop in and get quality watercolors, oils, brushes, and ideas. This small shop has some of the friendliest staff in the area. They’re helpful, knowledgeable, and patient. The store is always neat and tidy. It’s a wonderful place to shop for sewing and quilting supplies. Although Triangle A&E is a full-service copy center, it also carries supplies for fine arts and drafting. Shop for charcoal, pastel pencils, calligraphy pens, paints, palettes, and canvases at this store in north Oklahoma City. It shouldn’t be a surprise to find an art store in the Paseo district. You’ll find needlework classes, modern art, and antiques in this delightful little place. This art store in north OKC has some of the best prices on paints, pencils, markers and more. The store has more than 10,000 square-feet of inventory with a helpful and knowledgeable staff.